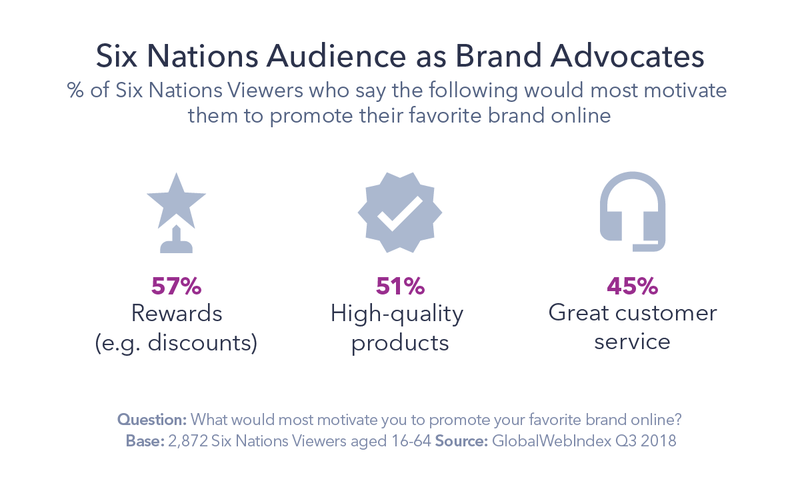 On a global level, 63% of Six Nations viewers say researching products and brands is one of their most important reasons for using the internet, which is 14 percentage points above the global average. 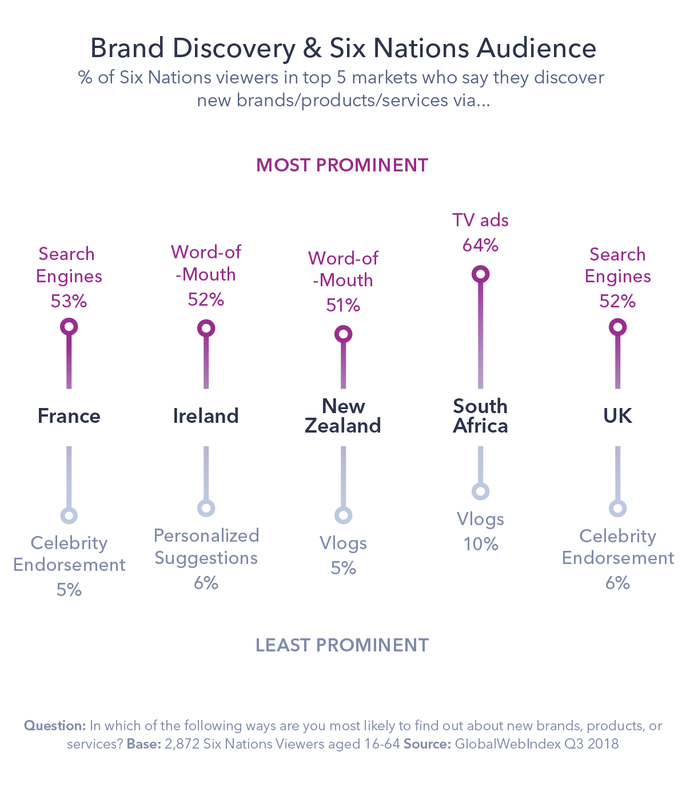 Although search engines only recently surpassed TV ads in the first stage of the purchase journey, Six Nations viewers are 36% more likely to cite them as their main source of brand discovery (51% do). They spend an average of 1h 49m on social media per day: 32 minutes less than the average internet user. This time is mainly spent on social networks, keeping up with the latest sports news and events. They spend significantly less time on their mobile phones than most people, at 2h 13m compared to the average of 3h 21m. 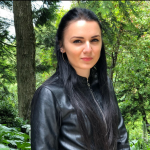 This means they still rely on larger screens for most online activities like product searches, buying and selling, and to access the internet in general. For instance, 54% have used their PC to purchase a product online in the past month, compared to 39% on their mobile. Facebook stands out in particular when it comes to sports second-screening. 16% of Six Nations viewers said they have commented on a sports event or match they’re watching, rising to 21% among 16-34-year-olds. 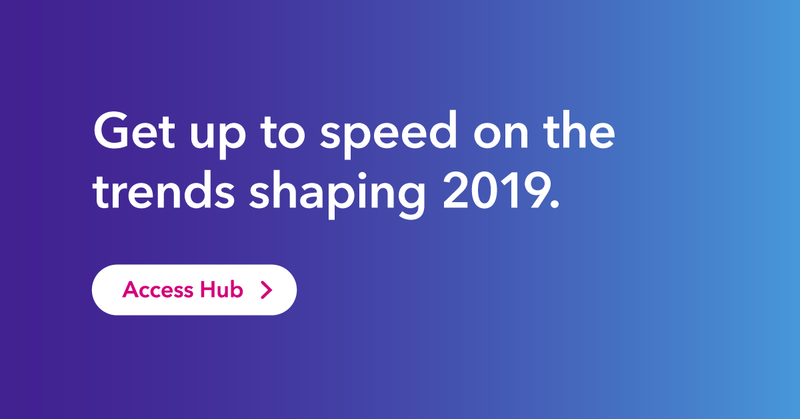 30% of them say they do it more than once a week, compared to 16% of Premier League fans and 14% of all internet users.